North Korea is ready for a "sacred war of justice" using the nuclear deterrent, its armed forces minister has said. Kim Yong-chun said exercises conducted by South Korea near the border were a preparation for war with the North. 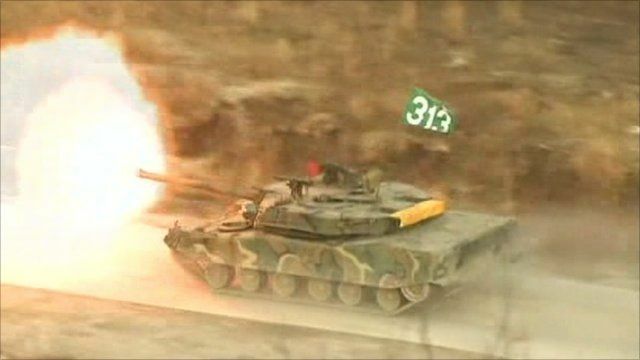 The drill is one of the largest in South Korea's history, involving tanks, helicopters and fighter planes. Tension has been high since North Korea shelled the South's Yeonpyeong island last month, killing four South Koreans. South Korean President Lee Myung-bak has promised immediate retaliation to any further Northern attack.